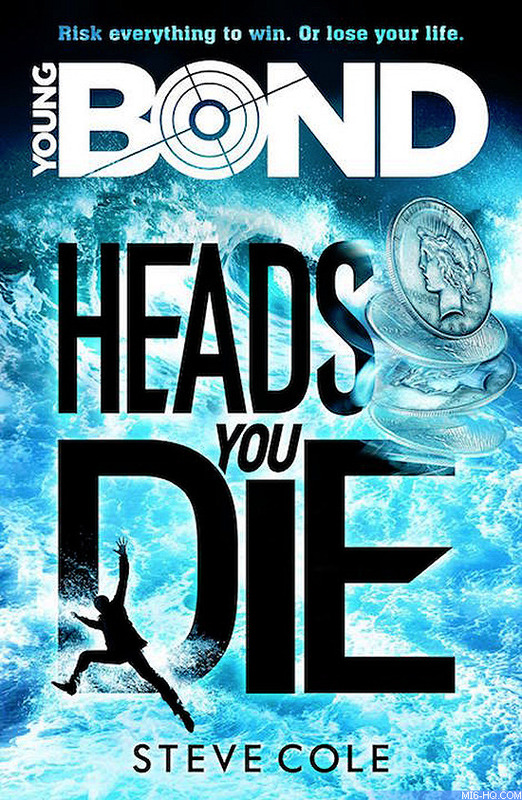 The second Young Bond book by author Steve Cole, the seventh in the series as a whole, will be titled 'Heads You Die'. Cole unveiled the title and cover at the Cheltenham Literary Festival today in England. In a break from tradition, the first edition of this Young Bond novel will be published in paperback, eschewing the usual hardback debut. 'Heads You Die' will be published by Red Fox in the UK on 5th May 2016. Red Fox is an imprint of Random House that publishes a wide range of paperback books for various age groups. Steve Cole, who took over from series creator Charlie Higson, published his first Young Bond novel 'Shoot To Kill' in November 2014.